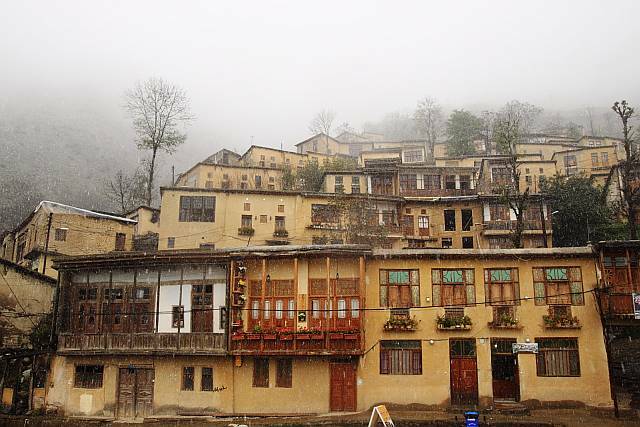 Nestled along a slope of the Alborz mountain range in western Iran, Masouleh is a perfect town to get away from city life, especially if you have spent too much time in the frantic traffic of Tehran. 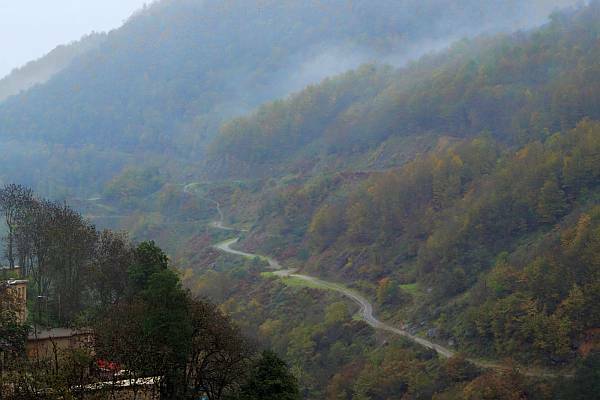 While situated 1050m above sea level, the town is not far from the Caspian Sea. 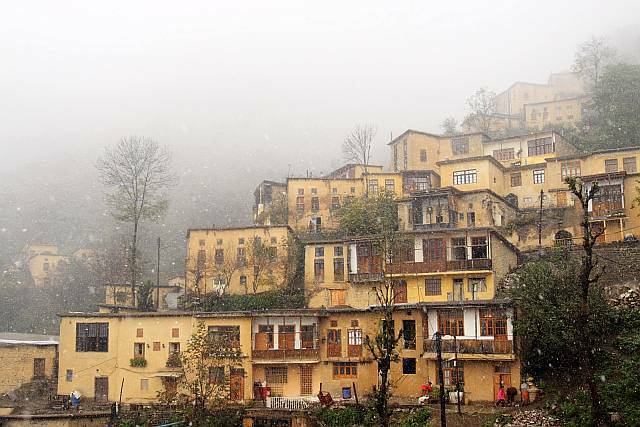 Its climate is quite special, as the predominant weather feature of the town is its fog! As such, most of the houses are covered in a yellow clay which allows better visibility in the fog. Add to the fact that the houses are all built along a slope, and thus the view of the town from afar can be really pictureque! 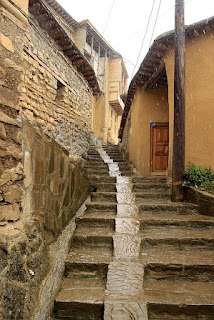 The houses are also interconnected in such a way that its architecture is unique in the whole of Iran. Firstly, no vehicles are allowed into the town, as the streets are too narrow anyway. More interestingly, the layout of the houses is such that, the roofs of the houses are also the courtyards (and streets) of other houses!! 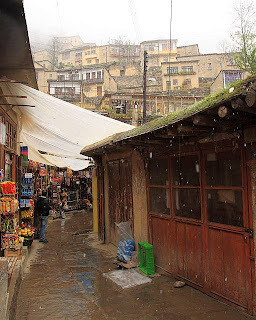 Hence, the special architecture of Masouleh is popularly known as "The yard of the above building is the roof of the below building". So it's pretty interesting wandering up the streets of the town (and tiring as well). 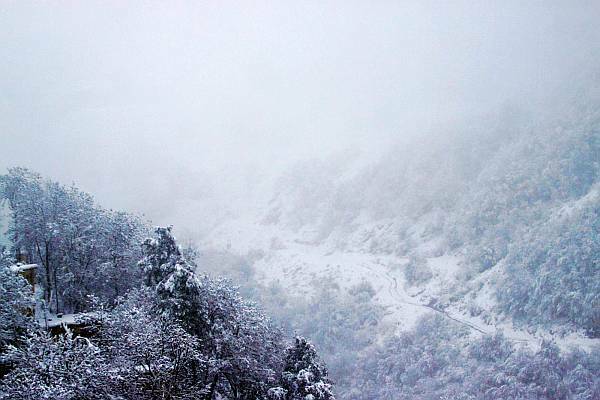 I was also lucky that when I was there in Nov, I encountered their first snowfall of the season. So literally in 2 days, I managed to see 2 different views of Masouleh! Pace in the town is remarkably laidback, and many Iranians (esp from Tehran) like to come here to spend their weekend holiday. While Masouleh can be visited in a day trip, an overnight stay is highly recommended if you are keen on photography. The only issue for me is, if you have a heavy backpack, lugging up the slope is no fun!! 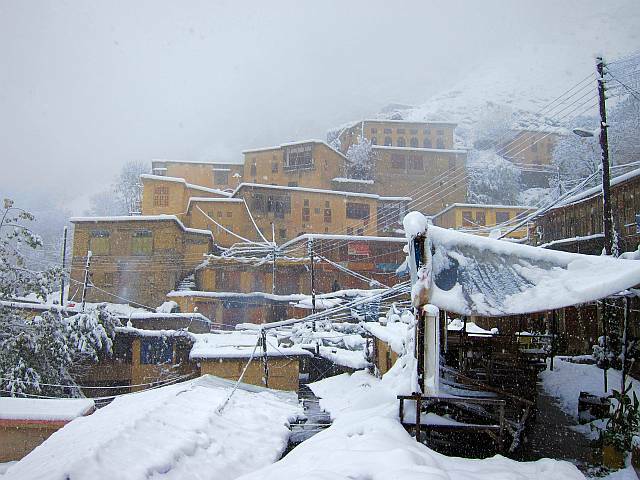 Masouleh can be reached via shared taxis from Fuman. From Tehran, there are comfortable buses to Rasht, where you then transfer to Fuman (again shared taxis). There may be buses from Tehran to Fuman too, according to various sources, but I have not found any. While it may not be that convenient to access to, once you reach Masouleh, you'll be glad you did!